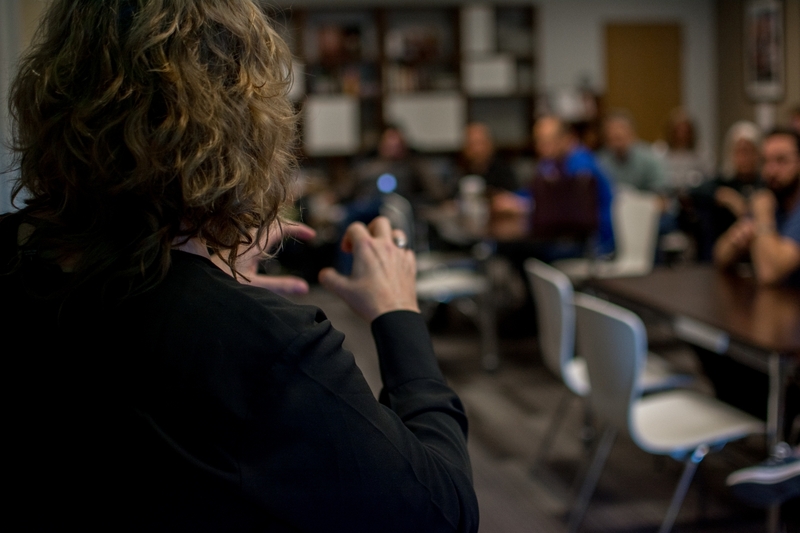 SLS Fellows Programs are interdisciplinary learning communities bringing together faculty and staff from all six GT colleges to develop new ideas for interdisciplinary and engaged research and teaching. Approximately 30 fellows meet regularly over the course of one semester, with community, industry, and government partners, to examine key ideas related to the program topic and to the SLS theme, “creating sustainable communities.” SLS Fellows Programs help participants push their research and teaching in new ways while also informing strategic direction for the Center for Serve-Learn-Sustain. The Climate Change Fellows Program is offered jointly by SLS, the Climate & Energy Policy Lab, the new Global Change Program, the Strategic Energy Institute, the Ray C. Anderson Center for Sustainable Business, and the Brook Byers Institute for Sustainable Systems. The Climate Change Fellows Program will advance the work of the Global Change Task Force of 15 faculty, convened by President Emeritus Wayne Clough during AY 2016-2017, which identified avenues for education and research activities in the climate change arena, motivating the creation of the new Global Change Program by Provost Bras. 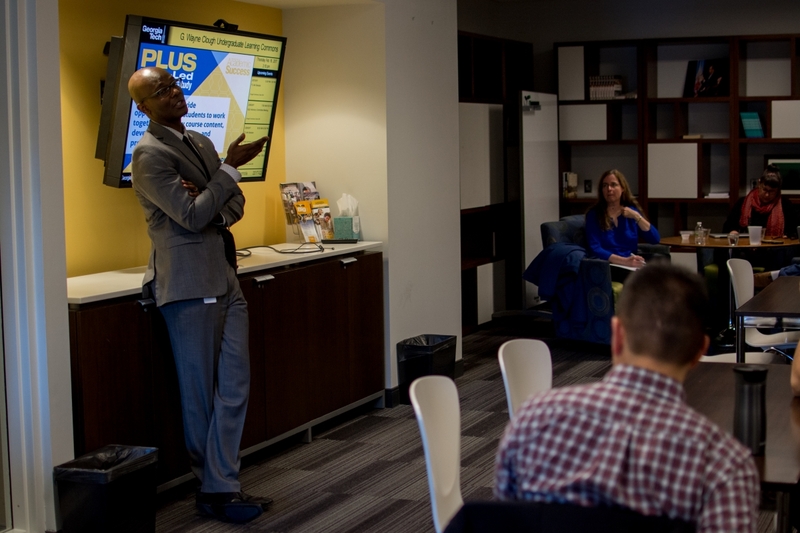 The Fellows Program will leverage these activities by engaging faculty dedicated to advancing Georgia Tech's capacity in both climate change education and research. Fellows have self-selected into two working groups focused on the education and research missions. The Education Working Group is focused on developing recommendations for modules, classes, and academic support structures - including a combined Energy and Climate Minor - to teach students about the social, scientific, and technical aspects of climate change and engage in using their disciplinary training to develop solutions. The Research Working Group is focused on identifying shared interests among the Fellows in the area of climate change and working teams to explore ideas that: 1)are solutions-oriented, 2) have high potential for regional impact and connection to real-world projects and partners, 3) bring together diverse faculty, and 4) have high visibility and funding potential. 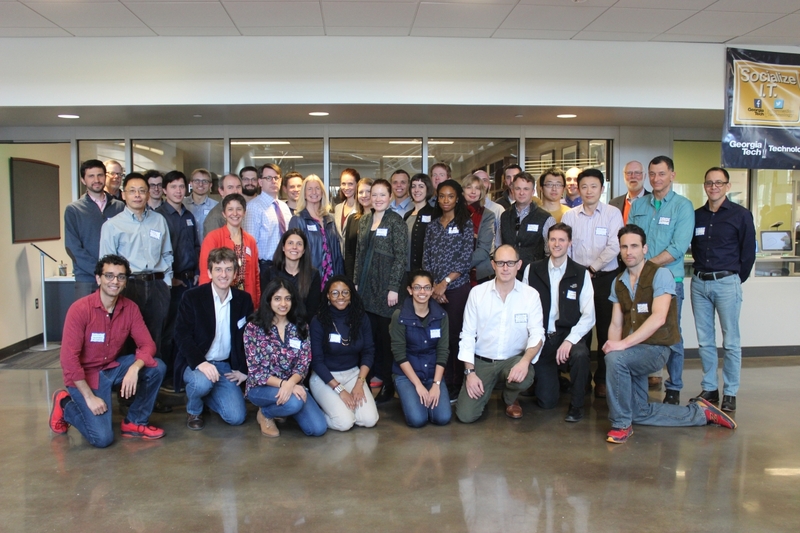 The Fall 2017 SLS ESSC Fellows Program explored how communities interact with energy systems and how diverse stakeholders-- from academic, business, community, nonprofit, and government sectors-- collaborate to create energy systems that contribute to creating sustainable communities in which people and nature flourish. An initial definition of an “energy system” is a system that encompasses elements of the supply chain to produce energy in a usable form from natural or mineral resources, and to transport, distribute, and utilize that energy. Thus an electricity system might include the solar panels to produce the energy, the transmission and distribution system at a grid or microgrid level, and the final end use profile. It could also be expanded to include the production supply chain of the solar panels and their recycling at the end of useful life if these activities intersected in a meaningful way with the community. Other energy systems include liquid transportation fuels, district heating, industrial combined heat and power, for example. 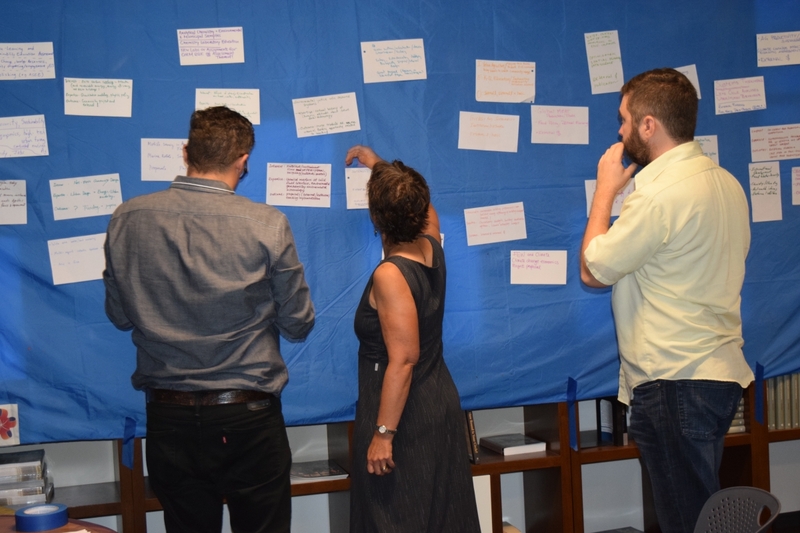 We used the Southeast as a case study for developing frameworks and approaches that can be applied in other regions. The Southeast has both rapid urban development and rural communities, each with sustainable community assets and challenges. Forestry is an industry that could provide significant energy resources and economic development and has a strong presence in the Southeast and agriculture is one of its major export industries. Utility scale solar power is also being developed in south Georgia and could provide a model for other regions. How do energy options such as greater use of biomass and utility solar power impact different communities? How do different energy options improve the resiliency and viability of small communities? 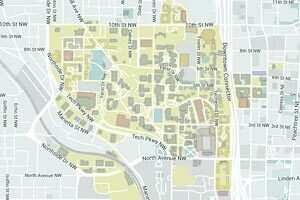 How would changes in grid architecture, such as microgrids, impact communities? How does climate change alter the energy supply and demand for regions and specifically for the South East? How do energy systems interact with other key infrastructure systems, particularly food and water systems closely intertwined with energy? What roles can communities play in the development and deployment of new energy systems? How do energy policies incentivize or limit community engagement? How can new developments in energy sources and systems improve opportunities for disadvantaged communities and improve equity, particularly in Georgia, where Atlanta is consistently ranked one of the most inequitable cities in the country? 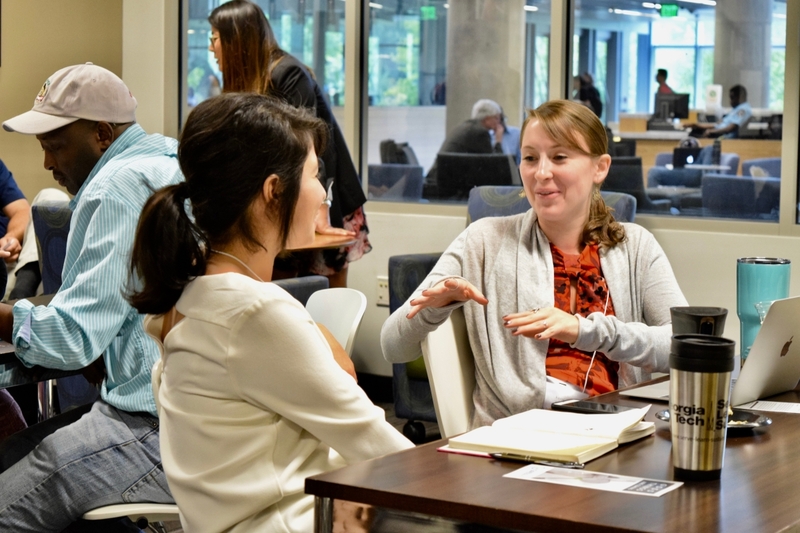 One goal of the program was to help participants develop ideas that can be part of the Strategic Energy Institute's new Energy Policy and Innovation Center. Another goal was to seed efforts for proposals to NSF CAREER and the NSF FEWS initiative. Read more about these goals and other achievements at the pages linked below. How does framing smart cities as a vehicle for connecting communities open up new possibilities for interdisciplinary collaboration at Tech that combines social and technological expertise and approaches? How can big data and systems thinking support local efforts for sustainable and equitable communities? How are communities already smart? What services, infrastructure, and technologies will be required to meet new challenges? What are limits of technology in addressing issues in our cities? With so much focus on technology, what happens to problems that need to be addressed in other ways? How can we better facilitate civic engagement in smart cities through practices such as participatory research or citizen science? How can industry partners support this engagement? Read about how the Fellows answered these questions at the pages linked below. The Fall 2016 SLS FEWS Fellows explored sustainable community-building through the integrated lens of food, energy, and water systems, touching on issues such as sociotechnical systems, civic engagement, and safety and security. 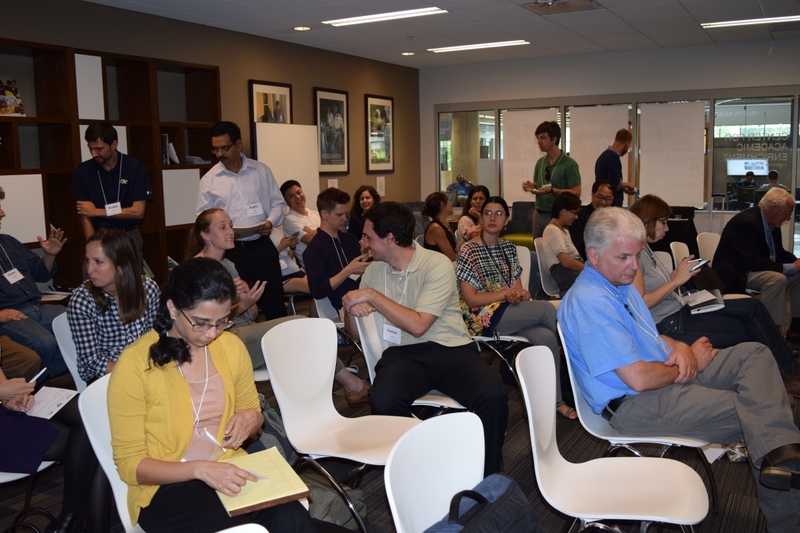 The FEWS program aligned with NSF’s INFEWS program (Innovations at the Nexus of Food, Energy, and Water Systems; now called FEW) and helped participants begin to develop new ideas for differentiating themselves in NSF CAREER and other proposals. How does framing FEWS as a sociotechnical system open up new possibilities for interdisciplinary collaboration at Tech? How can big data and systems thinking enhance our understanding of critical linkages between food, energy, and water and how these linkages can support sustainable and equitable communities? How are communities already innovating around FEWS? What services, infrastructure, and technologies will be required to meet new challenges? How can we better facilitate civic engagement in FEWS through practices such as participatory research or citizen science? 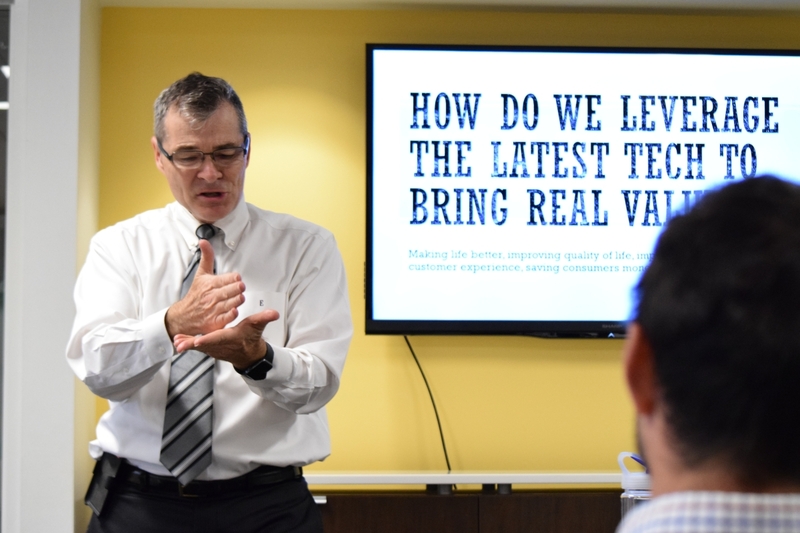 How can industry partners support this engagement?